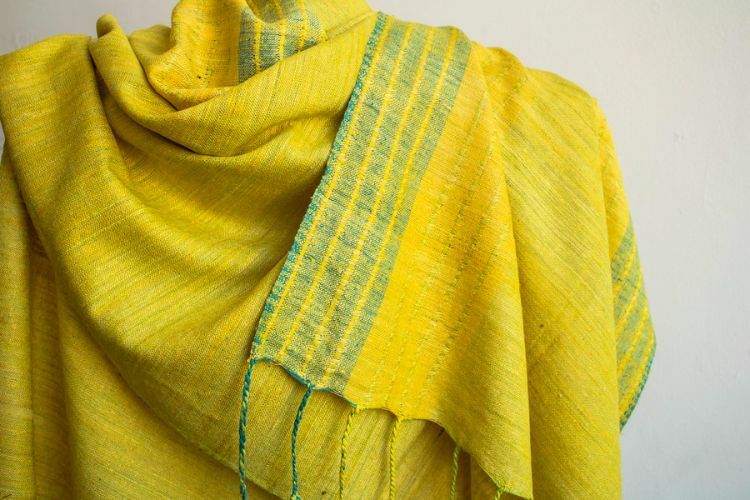 This scarf is made from eri silk. The silk worm has already left the cocoon before processing. In Little Flower Khadi & Village Industries Leprosy Rehabilitation Centre the empty cocoons are boiled to release the fine silk threads which are then hand spun, dyed and hand woven and into gorgeous scarves and stoles. Because the cocoon is empty the silk threads are broken and joined again during hand spinning creating slubs of texture unique to each piece.